Avoid using cheap electrode pads that increase your chance of giving you ‘hot’ spots and ‘nips’. Buy only the best from NeuroTrac Medical. You’ve had your run with cheap electrode pads; well you no longer have to endure those poorly designed and ineffective electrodes any longer. NeuroTrac have got your back. NeuroTrac electrodes use carbon wire to deliver the current more effectively to the targeted muscle; this ensures that the overall treatment is efficient. The adhesive that is used in NeuroTrac’s electrodes is so long-lasting that the pads are reusable time and time again. You won’t find yourself resorting to cheap, nasty electrodes ever again. To make sure you get the most out of your NeuroTrac reusable electrodes, keep the plastic sheet the electrodes are stuck to and store them in a plastic bag to maintain the moisture. If you want to rejuvenate the TENS electrodes, rub a little tap water into the gel surface before use. 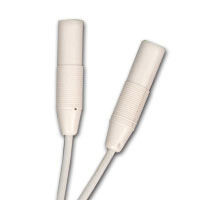 All of NeuroTrac’s reusable electrodes are suitable for TENS, STIM, FES and EMG applications.